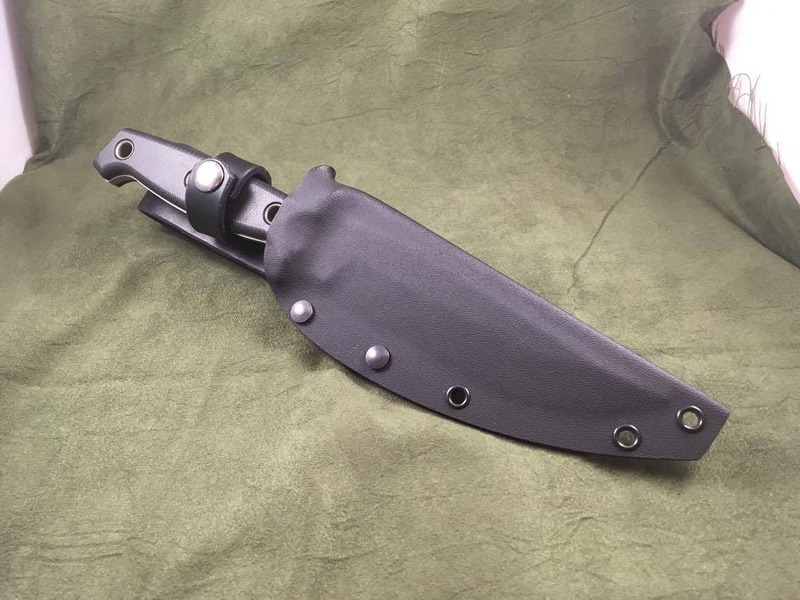 This is a heavy duty (0.80) kydex sheath for the Benchmade 119 Arvensis series knives. 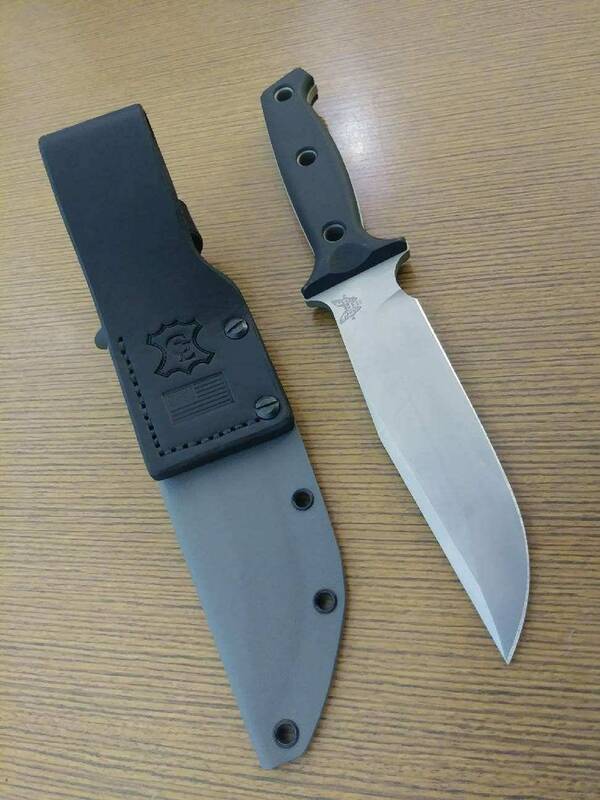 The sheath is an improvement over the plastic sheath that comes stock from Benchmade. 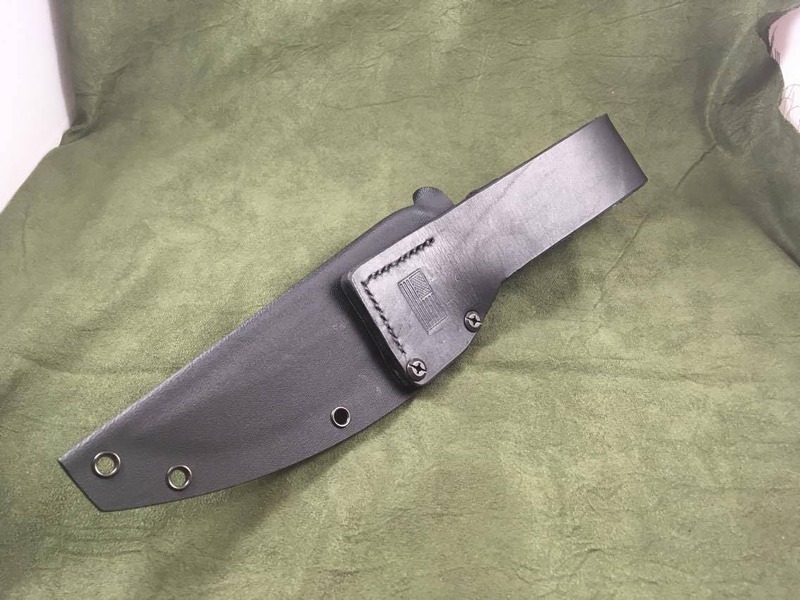 It is available in a variety of colors and can be ordered with either a leather or kydex belt loop, and each option can be ordered with a retention strap that snaps around the handle to keep the knife from bouncing around. 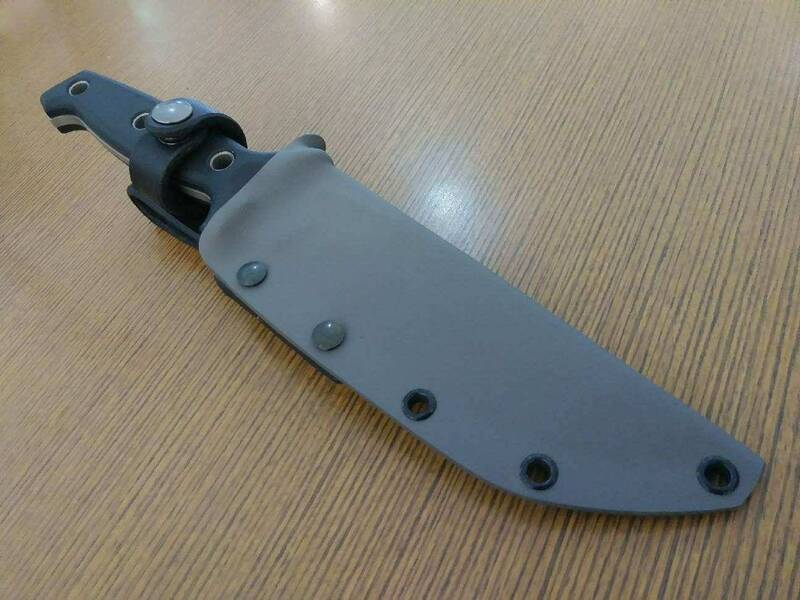 There is a thumb groove to assist in drawing the knife and a drain hole in the bottom to prevent fluid buildup. 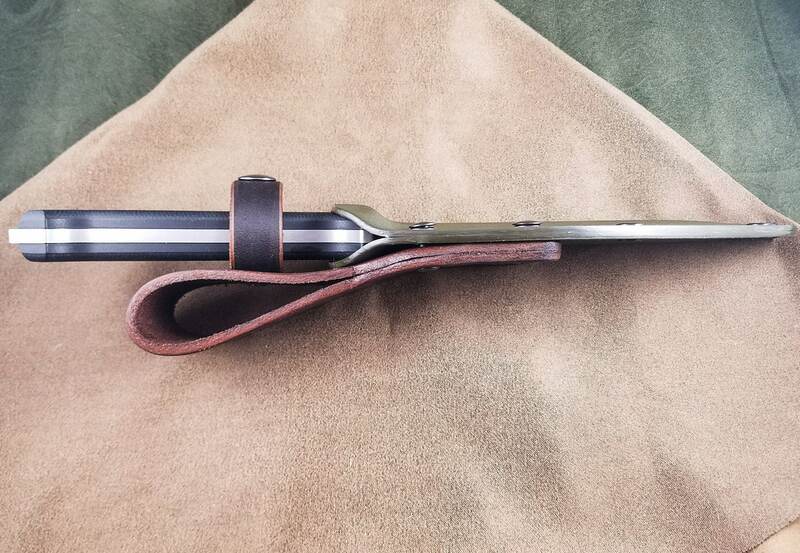 Sheath came and looks great. 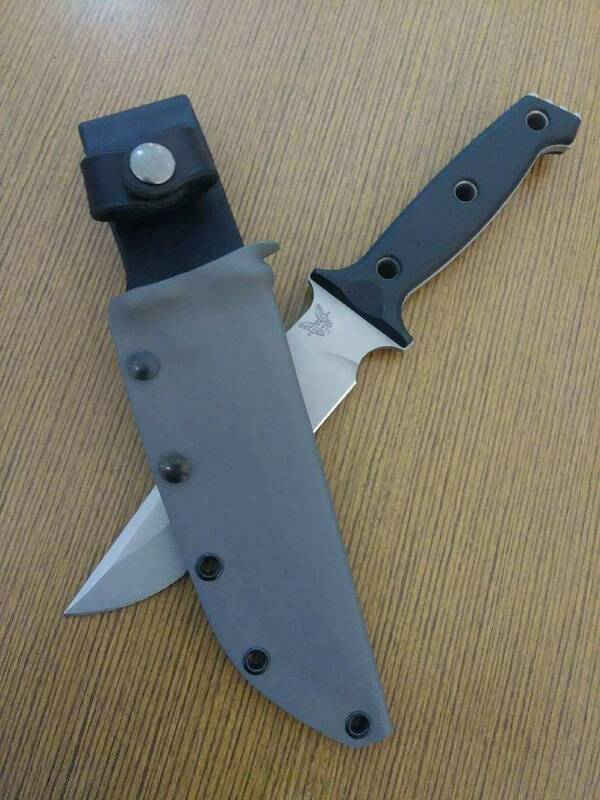 Fits my blade snugly and securely. 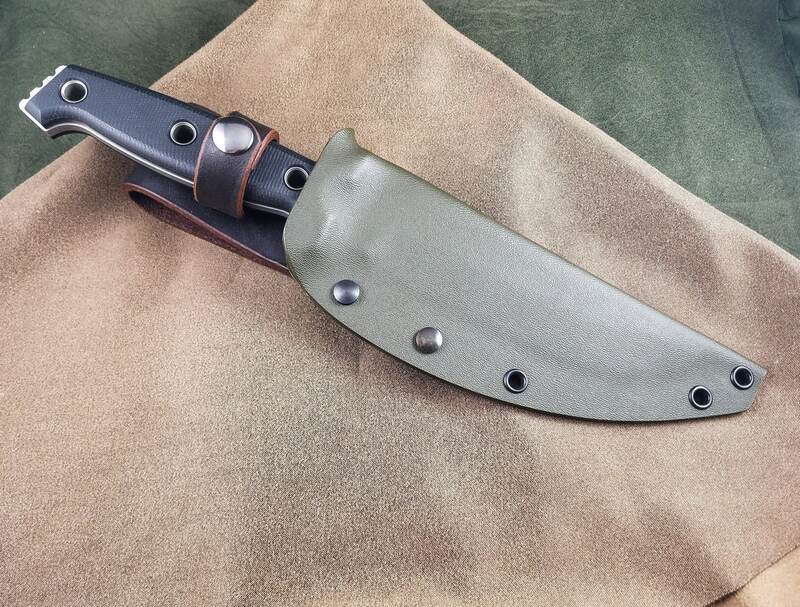 Very happy with the work and will come this way when looking for more sheaths in the future. Highly recommended. Exactly as described, great seller communication, well made item.